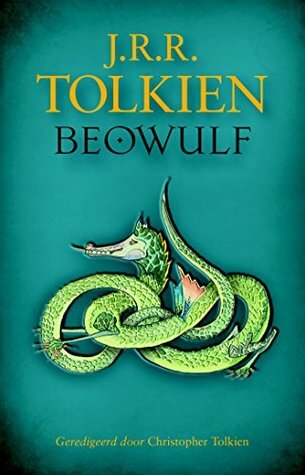 Since the start of the year, I have been reading through The Lord of the Rings with an online book club, with the restriction that we only read a couple of chapters a week, and then discuss them. It has proved to be an immensely rewarding experience, and a frequent comment has been how much more detail we are each noticing by reading this way. We have recently finished the first volume, The Fellowship of the Ring, and are making inroads into the second book, The Two Towers. So there’s still a long way to go. 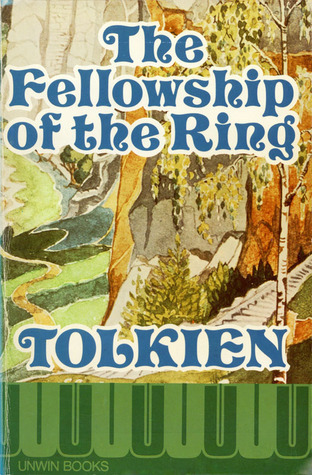 Today’s blog, inspired by this read, is looking specifically at the poetry that Tolkien wrote into the book. The last time I “properly” read it, rather than just dipping into it here and there, was before studying poetry in a serious way. So all kinds of things have popped out at me this time around as a result. 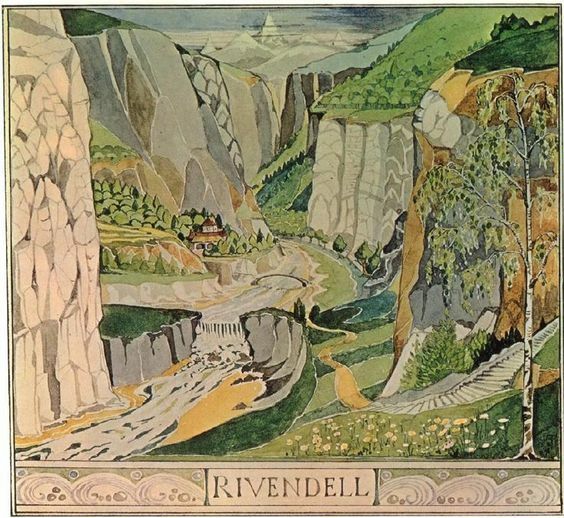 In Tolkien’s mythology, the creation of the world, and its primordial history, is governed by song. 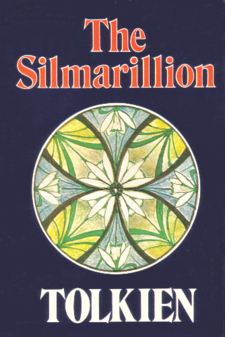 The Silmarillion describes how the supreme god Iluvatar initiates the original theme, and little by little the other gods and spirits join in according to their ability and comprehension. Even the great adversary Morgoth (then called Melkor) participates in this, though he tries to divert the music to suit his own purposes. 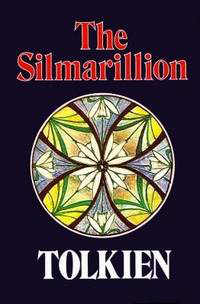 Three themes were set in motion by Iluvatar, one after another, challenged in turn by Melkor, until the whole concludes in a grand chord. Fundamentally, the same music permeates all of creation, and every creature living in it. I think that Tolkien made this concept concrete in the poems and songs which are liberally strewn through The Lord of the Rings. So this little series of posts will look at these poems and use them to illustrate what I mean. For one thing, poetry is taken to be a universal thing. Even the great enemy Sauron (servant and successor to Morgoth) writes poetry which scans and rhymes. But also, as we have read through The Fellowship of the Ring, it has increasingly struck me that all of the poetry we have met so far – whoever had written it – has been built around the same small number of patterns. To this point in the story we have only met elvish poetry, or else that made up by other cultures but heavily based on elvish patterns – we start to encounter human poetry in the second volume, which I’ll tackle in another post sometime. I’ll list specific examples as I go along, trying not to interrupt the flow, but the gist is that there are really only two main basic patterns so far, and both are based on counting stressed syllables in a line. There are, to be sure, some minor variations, but these really serve only to highlight the common patterns. Another form of poetry that he would have been familiar with, that found in the Hebrew Bible, is built around parallel lines and structures, and place very little emphasis on either rhyme or metrical patterns. Both of these are entirely different to the poetry he weaves into Lord of the Rings. 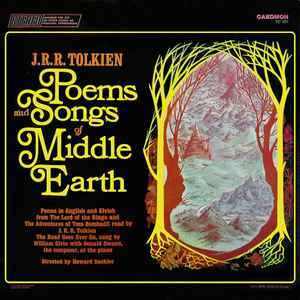 Instead, Tolkien chose one of two “templates” around which to build his elvish poetry, both based around pairs of lines – couplets. One template has equal lines with four stressed beats in each line – I shall call this 4+4. The other has four beats in the first line and three in the second – this will be 4+3. Some people might recognise that second pattern from English ballads. When you scan through the various poems set out in the book, there is a tendency for the equal-length pattern to be used in more formal contexts, and the unequal one in more emotional ones. On top of that metrical pattern there are also some different rhyming patterns, which I’ll comment on, but think are secondary to the metre. This post is going to focus on the 4+4 pattern. 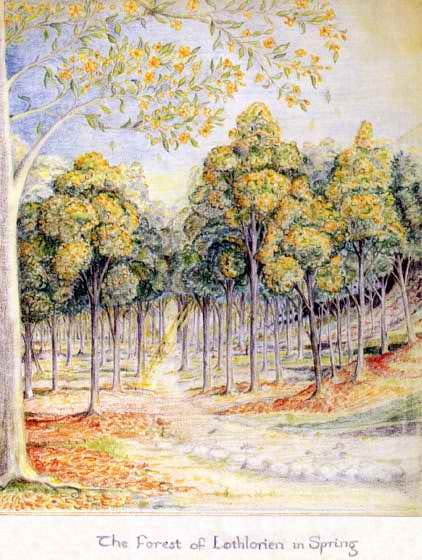 I have no doubt that Tolkien chose these patterns deliberately. 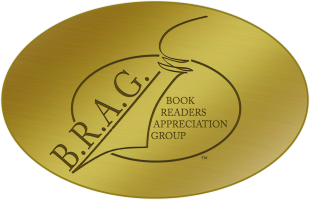 Reading through the book slowly convinces you that most of the content has been very carefully and systematically thought through (barring the odd hiccup here and there, which I am willing to overlook in any author). It is abundantly clear that he planned the vocabulary aspects of his books very carefully, to the extent of inventing several linguistically sound languages: it seems to me altogether likely that the same is true of the poetry. – which although still 4+4 has various metrical irregularities like extra unstressed syllables, and the simpler rhyming pattern AABB. – again, perfectly regular, this time with 4-line verses and rhyme pattern ABAB. He refers to this as “hard to render” but from an analytic point of view the difficulty lies only in the more complex rhyming pattern (ABACBABC), not the metre which is regular 4+4. I’m going to leave the 4+3 metre for another post, as it is most evident in the second half of the book. The 4+4, 8-line verse, with rhyming scheme AABABCC, is quite familiar, and so we can see that Tolkien was quite committed to this pattern. So what does all this mean? 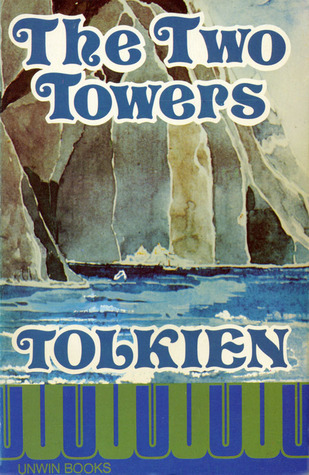 Well, my theory is that Tolkien wanted to thoroughly embed his mythology into his world. So if the world was created by a musical theme, which affected and shaped all living things, then that should be reflected in the poetry and music that those living things make. This post has explored the 4+4 pattern… another one will look at 4+3, and anything else that emerges as we progress through the books. Well, a couple of weeks have passed and it’s time to get back to blogging. And for this week, here is the Alexa post that I mentioned a little while ago, back in December last year. Based on progress so far, Amazon will simply continue extending this to other combinations over time. I suspect that French Canadian will be quite high on their list, and probably other European languages – for example Spanish would give a very good international reach into Latin America. Hindi would be a good choice, and Chinese too, presupposing that Amazon start to market Alexa devices there. 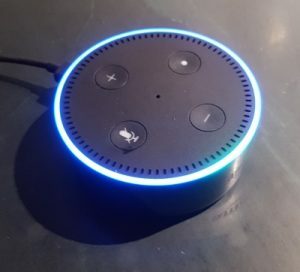 Currently an existing Echo or Dot will work in China if hooked up to a network, but so far as I know the gadgets are not on sale there – instead several Chinese firms have begun producing their own equivalents. Of course, there’s nothing to stop someone in another country accessing the skill in one or other of the above languages – for example a Dutch person might consider using either the English (UK) or German option. To date I have not attempted porting any skills in German or Japanese, essentially through lack of necessary language skills. But all of the various English variants are comparatively easy to adapt to, with an interesting twist that I’ll get to later. So my latest skill out of the stable, so to speak, is Wordsworth Facts. It has two parts – a small list of facts about the life of William Wordsworth, his family, and some of his colleagues, and also some narrated portions from his poems. Both sections will increase over time as I add to them. It was interesting, and a measure of how text-to-speech technology is improving all the time, to see how few tweaks were necessary to get Alexa to read these extract tolerably well. Reading poetry is harder than reading prose, and I was expecting difficulties. The choice of Wordsworth helped here, as his poetry is very like prose (indeed, he was criticised for this at the time). As things turned out, in this case some additional punctuation was needed to get these sounding reasonably good, but that was all. Unlike some of the previous reading portions I have done, there was no need to tinker with phonetic alphabets to get words sounding right. It certainly helps not to have ancient Egyptian, Canaanite, or futuristic names in the mix! And this brings me to one of the twists in the internationalisation of skills. The same letter can sound rather different in different versions of English when used in a word – you say tomehto and I say tomarto, and all that. And I necessarily have to dive into custom pronunciations of proper names of characters and such like – Damariel gets a bit messed up, and even Mitnash, which I had assumed would be easily interpreted, gets mangled. So part of the checking process will be to make sure that where I have used a custom phonetic version of someone’s name, it comes out right. Wordsworth Facts is live across all of the English variants listed above – just search in your local Amazon store in the Alexa Skills section by name (or to see all my skills to date, search for “DataScenes Development“, which is the identity I use for coding purposes. If you’re looking at the UK Alexa Skills store, this is the link. The next skill I am planning to go live with, probably in the next couple of weeks, is Polly Reads. 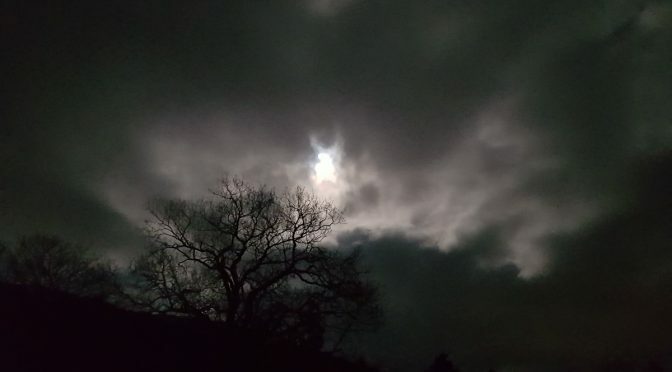 Those who read this blog regularly – or indeed the Before The Second Sleep blog (see this link, or this, or this) – may well think of Polly as Alexa’s big sister. Polly can use multiple different voices and languages rather than a fixed one, though Polly is focused on generating spoken speech rather than interpreting what a user might be saying (the module in Amazon’s suite that does the comprehension bit is called Lex). So Polly Reads is a compendium of all the various book readings I have set up using Polly, onto which I’ll add a few of my own author readings where I haven’t yet set Polly up with the necessary text and voice combinations. The skill is kind of like a playlist, or maybe a podcast, and naturally my plan is to extend the set of readings over time. More news of that will be posted before the end of the month, all being well. The process exposed a couple of areas where I would really like Amazon to enhance the audio capabilities of Alexa. The first was when using the built-in ability to access music (ie not my own custom skill). Compared to a lot of Alexa interaction, this feels very clunky – there is no easy way to narrow in on a particular band, for example – “The band is Dutch and they play prog rock but I can’t remember the name” could credibly come up with Kayak, but doesn’t. There’s no search facility built in to the music service. And you have to get the track name pretty much dead on – “Alexa, Play The Last Farewell by Billy Boyd” gets you nowhere except for a “I can’t find that” message, since it is called “The Last Goodbye“. A bit more contextual searching would be good. Basically, this boils down to a shortfall in what technically we call context, and what in a person would be short-term memory – the coder of a skill has to decide exactly what snippets of information to remember from the interaction so far – anything which is not explicitly remembered, will be discarded. That’s it for now – back to reading and writing.. 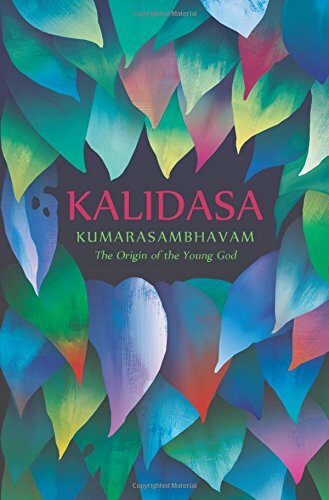 I was recommended Kumarasambhavam, “The Origin of the Young God“, by Kalidasa, by a friend who had noticed the reprint of the English translation by Hank Heifetz and alerted me to it. I have read a certain amount of modern Indian literature (in translation) so here was a chance to absorb a Sanskrit epic classic. Kalidasa is thought to have lived around 500AD, but most details of his life have long gone. His work, however, has proved to be enduring, and this is an exceptionally great poem which became part of the standard against which other works might be judged. The theme of the work is the courtship of Shiva and Parvati, as imagined through their personal interactions, the participation of other individuals, and the rich echoes of their emerging love in the natural world. The 8th section celebrates their sexual union after their wedding. In due course this will lead to the birth of the Young God of the title, who will liberate parts of the natural and divine world from oppression. Over the years, this final section has been sometimes been regarded as an improper subject for poetry, and has often been omitted from published versions. To me this immediately brought to mind the Song of Songs in the Hebrew Bible, which has from time to time only gained acceptance by being read as allegory rather than literal delight. For the curious, Heifetz explains the different kinds of metrical pattern used by Kalidasa, as well as highlighting other devices used, such as alliteration. He also speaks a little about his own choices in translation – when to be literal, when to add an explanatory phrase, when to try to imitate a pattern of sound. Sanskrit poetry was based on several patterns of long and short syllables, like classical Greek and Latin metres but unlike ancient near eastern or more recent European ones. This means that direct imitation of the variety of metrical forms, and their specific associations, is not possible in English, and Heifetz explores other ways of representing the differences. But the poem itself can be read and enjoyed without troubling with any of this, so that the reader can immerse him or herself in Parvati’s determined efforts to win Shiva over, followed by Shiva’s gentle and sensitive arousal of Parvati’s desire. One of the outstanding features of the work is the extended use of imagery from the natural world – flowers, birds, animals, mountains, and the cycle of the seasons are all invoked and drawn up into the relationships of the divine couple. At the end of the book I found myself filled with a great regret that the ancient Egyptians never had the opportunity to interact and cross-fertilise with ancient India. The ways in which both human and natural worlds participate seamlessly and shamelessly with the universe of gods became alien to Europe, but would have found a resonance in Pharaonic Egypt. Conversely, there is a haunting sense in some Egyptian literature that Egypt never really found another deep culture to relate to. I feel that there was a loneliness there that longed for, but never fulfilled, the possibility of being united with another. Perhaps Shiva and Parvati succeeded in marriage, where Egypt and India failed even to meet. But you have to wonder what kind of young god would have been the fruit of their union. I have to give a star rating to post this review on some sites, even though that feels bizarre for an acknowledged literary pinnacle of its culture. Five stars, of course. The book will not appeal to everybody, but deserves to be better known and more widely read by those many people who cannot do so in Sanskrit. A couple of posts ago I wrote about the problems of historical dialogue and translation. Today I want to have a brief look at the particular problems of poetry in historical works, and how these are translated. Some of the same issues about translation arise here – for example the question of whether you go for a modern equivalent to an ancient word, or stick with a less familiar but more accurate concept. Although the introduction to Pound’s book claims that the text is “based on literal renderings of the hieroglyphic texts into Italian“, very few students of ancient Egyptian would agree that the final result is a literal rendering! Pound is quite obviously presenting a modern re-presentation of an ancient text. The illustrations chosen to go alongside the words blend men and women in modern dress (well, modern for the late 1950s) together with drawings much more like Egyptian wall paintings. Should Pound have done this? Was he right to use a word here that suggests beach relaxation and sensuous bodily enjoyment, or was he wrong to bring in to the poem a word quite alien to its original culture? lest they exult – the daughters of the uncircumcised. It is clear that the verse consists of two pairs of parallel lines. The first pair names two Philistine cities, with each line starting with a command not to publish the news of the Israelite defeat there. The second pair uses two parallel expressions for the Philistine women, with each line starting with a warning about the delight they would feel concerning the news. don’t post the news in the streets of Ashkelon. one more excuse for a drunken party! or the Philistines will rejoice. or the pagans will laugh in triumph. Clearly the New International and Good News versions stick quite closely to the word order and meaning of the original, with only minor changes. The Good News version chooses simpler vocabulary and sentence structure, in keeping with the translators’ goals, but keeps the pattern given by the Hebrew text. Both versions preserve the parallelism within each pair of lines, between the two town names on the one hand, and the two descriptions of rejoicing women on the other. “Pagan” in the Good News version perhaps suggests a value judgement about Philistine religion which the descriptive term “uncircumcised” avoids (though to be fair this word increasingly came to have a pejorative value in Hebrew thought). Moving on, The Message keeps the town names parallel, but completely disrupts any sense that the second pair of lines had parallel descriptions at all. It also speculates on the nature of the celebrations – that they involve drunkenness – considerably beyond anything the text has to say. The effect is to paint for the reader a rather blacker picture of the Philistines than the original author chose to write – indeed one with slightly racist overtones. The New Living Translation makes a fascinating choice. The two pairs of parallel lines are kept, but have been rearranged. The new organisation was presumably reckoned to be simpler for a reader to grasp, as the instructions “don’t tell…” are directly linked to the consequences “or else…”. Moreover, the celebrations are no longer the province of women but will apparently be carried out by the whole population of these towns. From a historical point of view, victory celebrations in this era typically were in fact led by women – a gender difference which, perhaps, the translators did not wish to highlight. In the interest of presenting a simple, clear verbal image, both the specific words of the text and the results of historical investigation are set to one side. What do we make of this? Bible readers in many churches are often encouraged by speakers to compare several translations in order to get an overall sense of the meaning of a passage, even if a single version is routinely used within services. Generally speaking this is good advice, but the example from David’s Lament shows that actually doing this in the case of poems can be confusing. Faced with this diversity of presenting material, what is the non-specialist reader to do? For my own part, I would rather grapple with something closer to the original. If an original author has taken the trouble to use a particular word, pattern, or overall form, I want to engage with that rather than be offered someone else’s opinion of what the author might have said if they were living today. But other readers might disagree, and feel that a modern “upgrade” helps them get the point. At very least, as readers we need to be aware how much modern filtering is going on between us today and the original design of the author. Hatshepsut, Speak to me, by Ruth Whitman, was an unexpected gift brought to me from America. I had not heard of the book before, but am delighted to have read it now. Unlike most of what I have read recently, it is a book of modern poetry rather than prose. However, it is not all modern, as Ruth blended translations and rewrites of New Kingdom Egyptian material along with new compositions in her own voice. 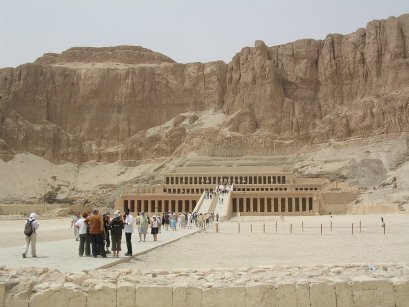 The result is a vivid and credible dialogue between the Ruth of today and the Hatshepsut of about 3500 years ago. The two women are seen to share a great deal in their experience of life, sexuality, loss, and managing the difficulties of being a woman in a role traditionally seen as male. Indeed, part of the poignancy of the conversation is simply that the two women could never actually meet in real life, and can only converse through the written word or glyph. 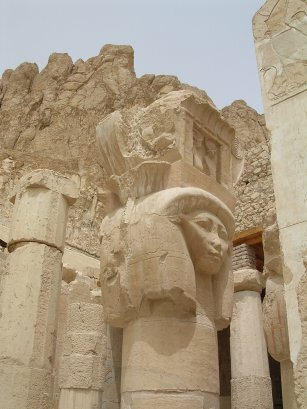 Hatshepsut’s life fades away in the textual record left to us from Egypt. This has given rise to a great deal of speculation about the transfer of power from her to Thutmose III. Ruth presents her as a perceptive nurturer of culture, not the conqueror of other lands that so many New Kingdom pharaohs sought to be. 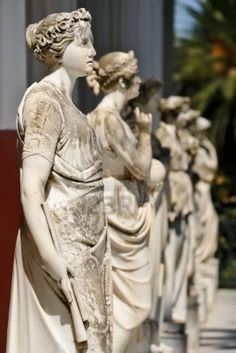 As such, despite the internal wealth of goods and knowledge she cultivated, in the end she was rejected by a martial faction within elite society. 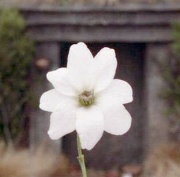 Her voice fades away into the still-surviving splendour of her memorial at Deir el-Bahri, along with the resting places and histories of those she loved. This book was also to be Ruth Whitman’s final one, so that both women leave us with the closing words of the book. I personally thought the book was a great piece of imaginative exploration, and have no hesitation in giving it five stars. Having said that, I am aware that not everyone will enjoy it. It is poetry rather than prose, and although it spans the lives of both women it does not intend to tell a story which goes anywhere. Part of the connection between the two women is that their simple struggle to gain acceptance absorbed so much energy that their full potential could not be realised. For those who like the human side of New Kingdom Egypt – inquisitive, sensitive and exploratory as opposed to assertive and combative – this could be a book for you. Here is a short extract from one of my favourite pieces, but the full impact of this book is not in the parts but in the whole. gather grapes in the vineyards for you. For me, death is the end. that will touch the living. Sentiments and ideas which also find expression in Scenes from a Life, now going through the final stages of release as soft-cover. Last time I explored ways in which the ancient Finnish poetic tradition presented in the Kalevala was similar to ancient Middle Eastern material. Today it is time for some differences. – even if you have just had a very similar opening a few lines above! This is a feature shared with Homer’s Iliad, and with the Balkan poets whose work was studied by Milman Parry some years ago. Such stock phrases are extremely rare in Hebrew and Egyptian. Now, it is unlikely in the extreme that the Finnish bards and poets had direct contact with the Homeric or Egyptian traditions, let alone Ugaritic, though biblical influence cannot be ruled out. So why is it that this sense of familiarity constantly pervades the Kalevala? I suppose one reason could be the logic of oral tradition. The Finnish poets behind the Kalevala material recited their work orally to live audiences, just like bards in other cultures have done. Parry’s study in the Balkans showed that such performances displayed great flexibility and innovation. They combined older material in new ways by bridging together familiar scenes, characters and episodes with original links and connections. Depending on the occasion and audience, the same basic story could be expanded or contracted to fit the need. Stock phrases and patterned scenes help the poet in this task. The Egyptian and early Hebrew material that has survived is a few steps on from this. Most likely there were such oral poets in those nations at the time. What we have now, though, is not a direct record of their performances. It is a variation that was committed to writing, reworked to be successful in new written traditions. The epic cycles from Ugarit are quite raw and fresh, closer to their oral or ceremonial roots – had Ugarit survived longer it would have been fascinating to see how this material evolved. What we have in the Kalevala is, perhaps, an insight into how oral traditions themselves can begin and be sustained as a living art form, whether in northern Europe or the eastern Mediterranean. As well as a whole lot of material which is riveting in its own right! Finally, I mentioned last time about a promotional slideshow / video. Well, that is now finished and can be found on YouTube at http://youtu.be/JcuvhxPazMs, and also at http://www.kephrath.com/. Enjoy!